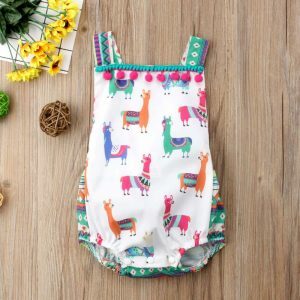 Baby Clothes Sizes: How to find the right fit?! One of the challenges of beginner parenting is in the seemingly mundane topic of baby clothes sizes. Sizes might be confusing for adult wearers, how much more for babies? Don’t fret, we are here to make it simpler for you! From newborn stage to toddlerhood, here is the ultimate guide to baby size charts. 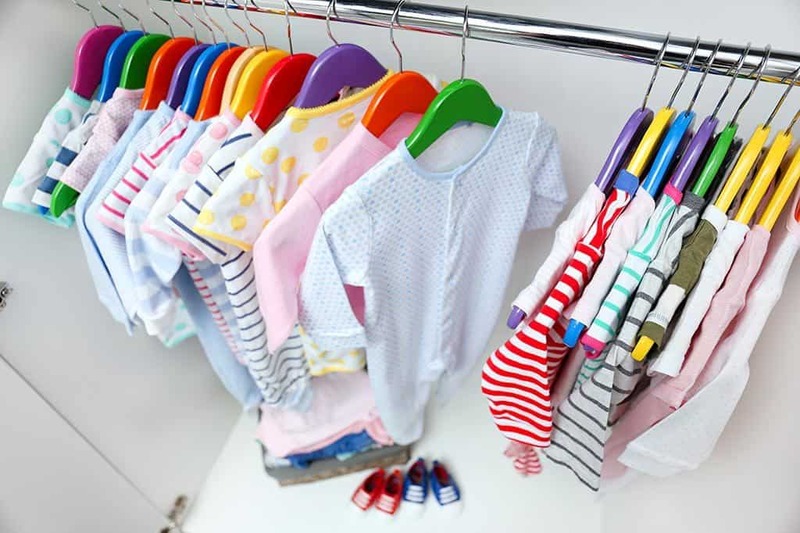 Baby clothes sizes can be determined by the age and weight of the newborn. However, keep in mind, that babies grow and develop at different rates. 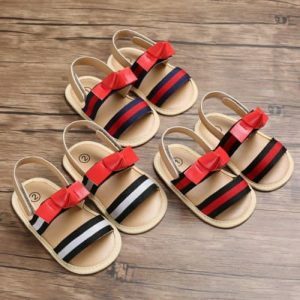 Different brands also slightly differ in sizes. 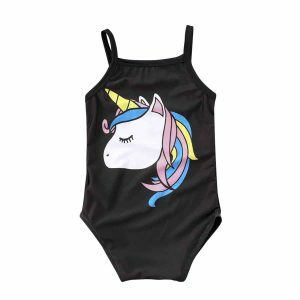 As a general rule of thumb, buy only in size 0000’s growsuits and singlets . You might buy more type of clothes in size 000’s to size 1’s since they will be used by the infant for longer. If your baby is potty-trained and walking , you have now graduated to toddler sizes (size 2T and up), they are designed to accommodate the child’s added mobility. 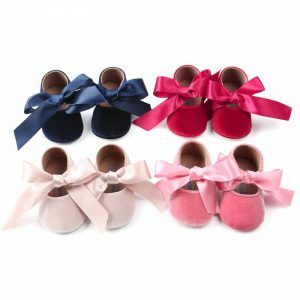 The European sizing for babies is based on height, which is measured in centimeters, UK sizes are similar with US sizes though with small differences. You might measure your baby’s feet size (width and height) using a ruler or tape measure at home. The foot must be fully extended when you measure from the heal to the longest toe. The width- measure the widest side of the foot. 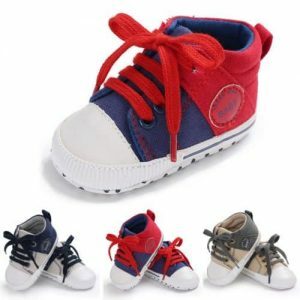 Then, refer to a size table to define your baby’s shoe size. 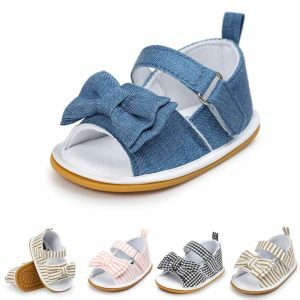 So many factors when it comes to dressing your little baby. Aside from the obvious question of what kind of clothing to buy, there’s the issue of sizes. What’s the right clothing size for a baby?How do you convert different sizes? The questions are so many. Let’s go through it step-by-step. 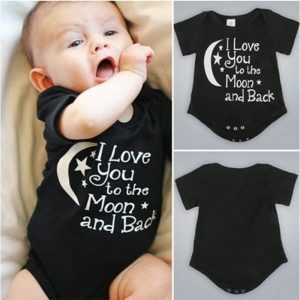 How Do You Measure sizes for the Baby Clothes? To make it simply, sizes can be determined by the age and weight of your infant. Keep in mind though that babies grow and develop at different rates. Different brands offer some slight differences in sizes. In this stage of your baby’s growth, the general rule is to not go overboard and buy a whole wardrobe full of size 0000. 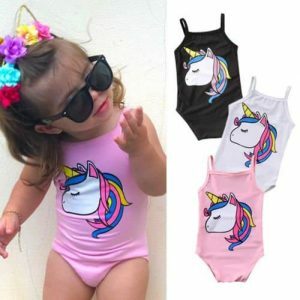 Buy only some basics such as bodysuits and singlets in size 0000’s and focus more on the size 000’s to size 1’s which your baby will use longer. Things are a little different for the toddlers. It is a little bit confusing moving up from a size 2 to a size 2T . Clothing sizes have changed now from babies to toddlers. May be you are wondering what the difference is between the two. 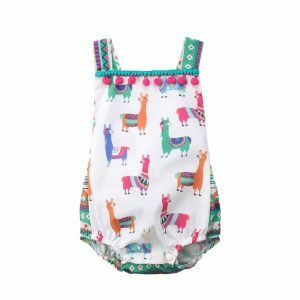 Simply , if your baby is walking and potty-trained, you have now graduated to a size 2T and up. Because your baby is now more active, clothing style for toddlers has changed to accommodate for your infant’s added mobility. While the silhouettes of size 2s are rounder, serving to accommodate a nw born who is still crawling, sizes 2Ts and up are for toddlers who can walk upright. 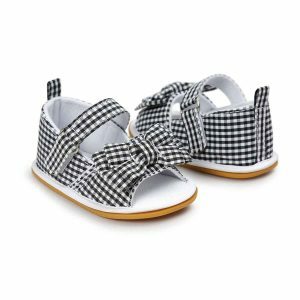 This makes for a much taller and leaner silhouette so your child can walk and move easily and with more comfort. 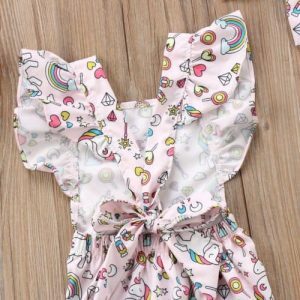 For small and big kids as well as teenagers, this article on kids’ clothing sizes might be what you need. How Do You Convert Clothing sizes for babies? Now that you have a basic idea of newborn measurements and how to determine size correctly, we will dig into another slightly confusing topic – how to convert sizes to other international size types. European and UK sizes are measured differently. The European sizing for babies is based on height, which is measured in centimeters;UK sizes are a little closer to US sizes although some small differences. For babies, go for the more practical choices. This means buy quality vs. quantity. 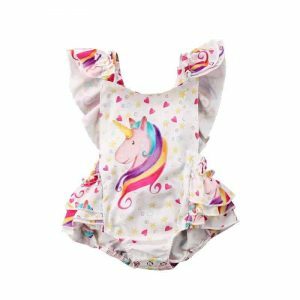 You won’t need many baby clothes at this point as your infant grows quickly during this stage. Additionally, babies don’t really get their clothes dirty, so they will wear and tear longer. Also, consider to buy more gender-neutral clothes especially if you’re buying before your child is born. Don’t get very overexcited and buy too many clothes ahead of time. This is a mistake many newbie parents make too often. Some infants are born big and could only use newborn sizes for a short time. Growth strains are also very common at this stage. So, it’s important not to buy too much too soon. Always assure your baby’s comfort when choosing clothes. Newborns don’t like clothes that have to be pulled over their heads so avoid separates. Your best friend are onesies. Avoid complicated clothes that will be hard for you to put on your baby. Also consider your comfort as a parent. Buy one size ahead of your infant’s age so they can grow in them. This will help you spend less on clothing. Buy clothing with easy fastenings. Pants and leggings with elastic waistbands are ideal and you should avoid anything with buttons or anything that your infant can loosen up. They are very curious during this age, accidents can happen. Anything in cotton will go a long way to making your newborn feel more comfortable in clothing and can also avoid irritation. Some materials that are stretchable can also fit your baby longer as they grow. For toddlers, choose more durable clothing. They want to move more at this age and are prone to damaging their clothes often. 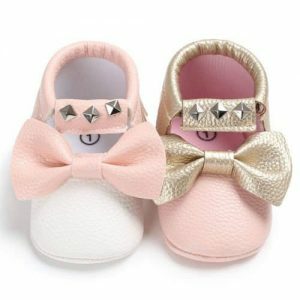 When purchasing baby shoes, pick pairs that provide good comfort and flexibility. It is best to bring your little one when shopping so you can find the perfect fit. Following these simple guidelines and steps will not only save you a lot of money along the way but also a lot of time. Dressing your child can be a great joy,experience without making any mistakes or having any hassle. Hopefully, this guide will help you avoid both. 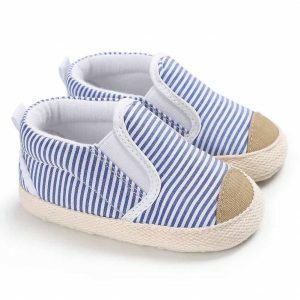 For your infant’s first few months, shoes would only be an accessory or provide warmth for your baby. 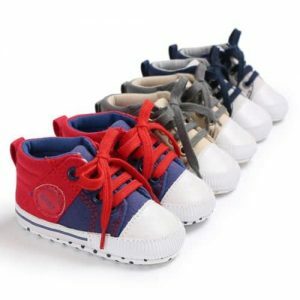 However, when your little one starts learning how to walk, choosing the right shoe size becomes essential. You must measure your baby’s feet size (width and height) using a ruler or tape measure at home. When you have the numbers, look at the table below to determine your baby’s shoe size. Soft material makes baby feel comfortable. 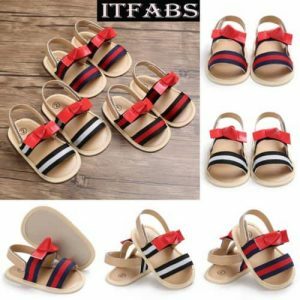 Prefect for summer daily use and easy to take off or wear. Anti-slip design keeps baby safe. Posted in Baby Care. Bookmark the permalink. Pregnancy: when the new life begins to grow in his mommy’s womb? When the baby bump will be visible? Why does the baby vomit after a meal? Why does the child often regurgitate?